Meet this year’s class of rising talents in acting and filmmaking. 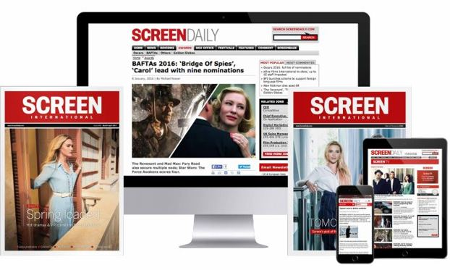 Screen International is today unveiling its 2013 UK Stars of Tomorrow. This annual feature spotlights up-and-coming actors and filmmakers that will be making waves in the years to come. The 2013 Class of Screen International UK Stars of Tomorrow are listed below in alphabetical order. This 11-year-old from Greater Manchester, will next star opposite George Clooney. The 18-year-old from Hammersmith will play twins in BBC2’s The Thirteenth Tale. The Winchester-born 18-year-old stars in this month’s release The Seasoning House. Hackney-born Attack the Block star will next appear opposite Tom Cruise in All You Need Is Kill. Olivier-nominated East Londoner is set to play Josephine Baker on stage. The Bristol-born actor is busy in the US with an ABC Family TV series and starring opposite Kevin Kline in The Last of Robin Hood. South Londoner crosses between indie films like Gone Too Far, theatre, and TV’s Lawless. Wembley-born Leonidas stars opposite George Clooney, Matt Damon, Bill Murray and John Goodman in The Monuments Men. This London-based LAMDA graduate has appeared in Downton Abbey and Game of Thrones. This half-French, half-English young actress landed a pivotal role in Lars von Trier’s hotly anticipated Nymphomaniac. Scottish actress is working in France as well as appearing in Sunshine on Leith and The White Queen. The former star of Son of Rambow took the lead in Broken and next appears in Locke, Barking At Trees and The 7.39. Devon-born 23-year-old has a cult following after BBC3’s In The Flesh. The North Yorkshire-born Cambridge graduate will appear in Mike Leigh’s JMW Turner biopic. Edinburgh-born actress has starred in Shell and appeared on Channel 4’s Black Mirror. West London-born Milner follows his Son of Rambow and Narnia beginnings with We’re The Millers (opposite Jennifer Aniston) and Fox’s The Maze Runner shooting in the US. East London-based Skrein got his break in friend Plan B’s iLL Manors and has landed roles in Game of Thrones and The Tunnel. Brighton-born, London-based Barton’s sci-fi thriller Invasion is in development with Raw, the company behind The Imposter. The Northern Ireland-born filmmaker is a recent NFTS graduate and her short film Wasted premieres at the Edinburgh International Film Festival this week. David and Keith Lynch, born in South Shields and raised in Essex, plan to shoot a sci-fi thriller called Residual. The pair behind Fizz and Ginger Films will work with the likes of Ian McKellan on their 1730s-set zombie comedy The Curse Of The Buxom Strumpet. The Cambridge-educated writer has landed hot projects such as the big-screen Paddington and the follow-up to The Woman In Black. Her work at the Royal Court is acclaimed and she is now working with Film4 on her debut film script set in her native Birmingham. Eghbal was born in Tehran and studied at the University of Leeds and Central St Martin’s before the NFTS, where her graduation short Abuelas earned a BAFTA nomination. Derry-born, Enniskillen-bred Fingleton is readying his hot first feature, The Survivalist, as well as working on a low-budget film with Ridley Scott and a film noir with Working Title. Deptford-born actor-writer opened the play God’s Property to rave reviews and is now writing a thriller. The Devon-based self-taught filmmaker (and musician) launched his career with low-budget feature The Naughty Room. The Cambodia-born filmmaker moved to the UK when he was eight years old; his first feature Lilting is just finished and expected to launch at a major film festival. At just age 20, he has already won a BIFA for Strings and will head to Italy this summer to shoot his second feature. After making award-winning short films, this writer-director is gearing up for an August shoot of his first feature Spaceship. These Stars will be toasted at a party at London’s Langham Hotel next week, sponsored by 3 Mills Studios and Creative Skillset and supported by Heineken and MAC. Stars of Tomorrow celebrates its 10th anniversary this year and the talent-spotting feature has an impressive track record. Past talents introduced in the magazine include James McAvoy, Benedict Cumberbatch and Emily Blunt (2004); Dominic Cooper, Robert Pattinson, Eddie Redmayne and Sophie Okonedo (2005); Riz Ahmed, Dan Stevens, Hayley Atwell, Rebecca Hall and Andrea Riseborough (2006); Matt Smith, Andrew Garfield and Gemma Arterton (2007); Carey Mulligan, Michelle Dockery, Tom Hiddleston, Aaron Johnson and Jack O’Connell (2008); Zawe Ashton, Holliday Grainger and Luke Evans (2009); Emilia Clarke, Sam Claflin and Jessica Brown Findlay (2010); Vanessa Kirby, Douglas Booth and Georgia King (2011); Samantha Barks, Tom Holland, and Nico Mirallegro (2012). Filmmakers spotlighted have included Andrea Arnold (2004), writer Abi Morgan (2005), Ben Drew aka Plan B (2008); Tom Harper (2006) and Gabriel Range (2006). Screen Contributing Editor Fionnuala Halligan curates the stars after considering hundreds of names each year. Halligan consults with industry experts including casting agents, talent agents, managers, producers and directors to find the hottest rising talents in Britain. Halligan said: “With the digital revolution and the TV renaissance, things have changed over the last decade and young actors and directors have many more outlets for their talents, from prestige TV projects to exciting theatre initiatives. “Every year it’s surprising to see just how much talent is out there in Britain and how responsive the international film world is to our young creatives. Wendy Mitchell, Editor of Screen International, added: “It’s remarkable looking back across the decade of Stars of Tomorrow and seeing what dizzy heights some of our young talents have now reached.